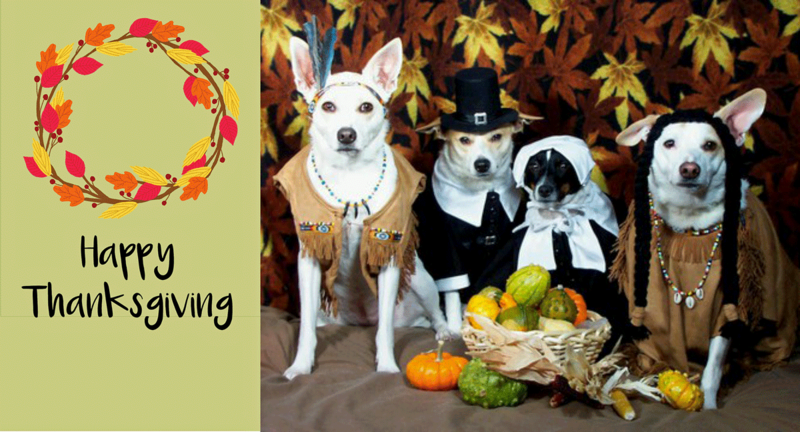 It’s that festive time of year, and you might be wondering can dogs eat turkey? They can… but it’s not that great for them. That’s because turkey skin and dark meat is fatty. 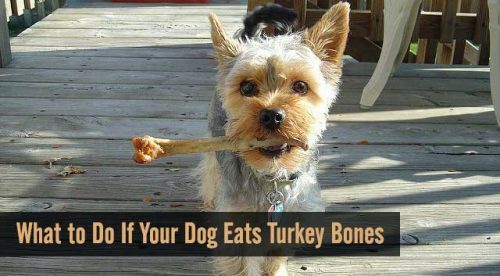 And of course, turkey bones are really bad for dogs. Turkey isn’t dangerous for dogs, but depending on how it’s cooked, it’s not easily digested by dogs. Plus, it can be fatty and can cause stomach upsets for a small dog like a Morkie. High-fat table scraps and meats can cause pancreatitis in dogs — the Pet Health Network advises that “Even if your dog doesn’t normally eat a high-fat diet, the introduction of a large amount of fatty food all at once can cause acute pancreatitis.” That’s pancreatitis that comes on suddenly and is unexpected, and it can be very painful for your Morkie. Symptoms of pancreatitis: loss of appetite, vomiting, and abdominal pain. A swollen abdomen is another symptom, along with lethargy and diarrhea. 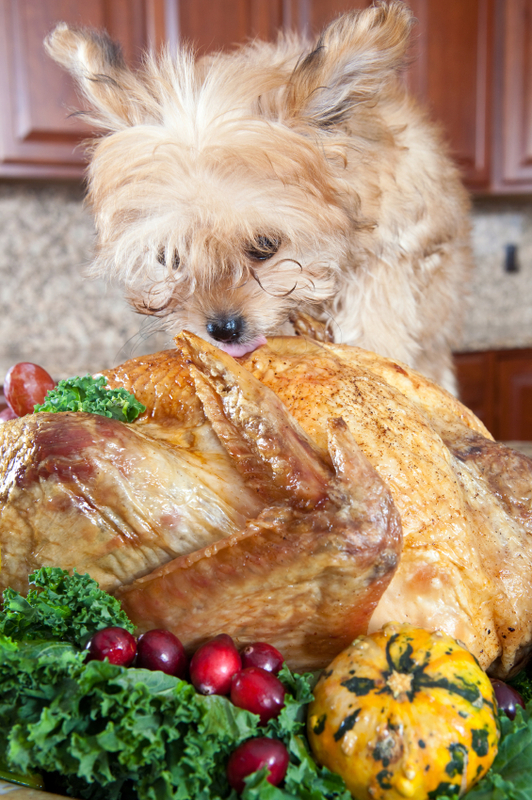 Does turkey cause diarrhea in dogs? High fat scraps and meats can cause pancreatitis — the Pet Health Network advises that “Even if your dog doesn’t normally eat a high-fat diet, the introduction of a sudden fatty meal and be painful AND dangerous. Can my dog have the stuffing? Not a good idea; dogs cannot eat ONIONS, and should avoid large amounts of garlic and other spices. Does turkey make dogs sleepy? The stuff in turkey that causes us to get sleepy is Tryptofan. It’s possible that Tryptofan in turkey can have a mildly sedating effect on dogs too. If your Morkie conks out early, it’s either that, or all the excitement! Can I give a turkey neck to my dog? You can – but only if it is RAW. If the turkey neck is cooked, the bones will shatter, and could pierce your Morkie’s digestive tract. Never give your dog cooked bones. Raw is perfectly good – if your dog is used to whole raw meaty bones. If not, the holidays may not be the best time to try feeding RAW. Can dogs have turkey bones? No, no, no. Unless they are uncooked. 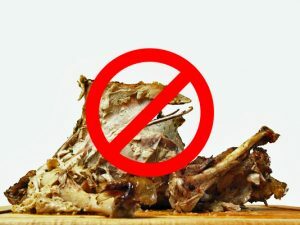 Cooked bones will turn into shards when a dog bites into them, causing long-lasting damage to the digestive system, and even DEATH! 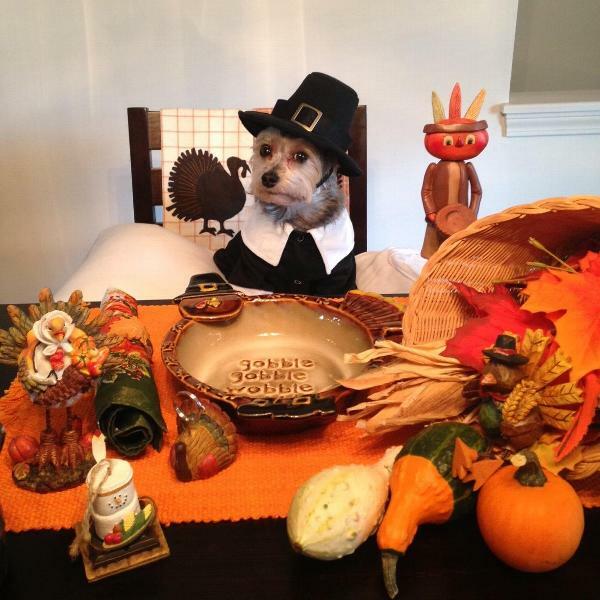 Can I give my Morkie the turkey liver? Most turkeys come packed with a little gift bag – giblets, which include the liver, kidneys, heart, gizzard and neck. Cover with water in a small pan, and bring to a boil. Reduce to medium and cook for 5 to 10 minutes or until giblets are cooked through. 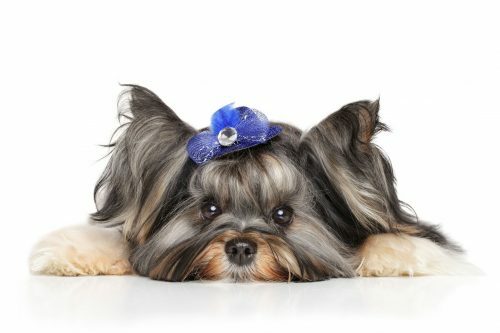 Your Morkie will LOVE it! 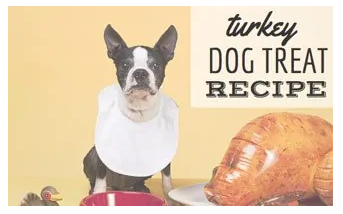 Here’s a great recipe from CanineJournal.com for a dog-safe treat made from leftover turkey. Bubba, a dog in England, snuck into the kitchen on Christmas Eve and ate an entire turkey! Luckily the dog survived, even though the owner, David Barrett, says she could not MOVE, and just crashed out on the carpet all Christmas day. We hope that feast was worth it for Bubba, since her family has now said the plump pooch will be put on a New Year’s diet. The turkey is bigger than the dog. Rule number one…Don’t leave the holiday turkey alone on the kitchen counter! “Forget the Kibble and Bits…this turkey is mine”! 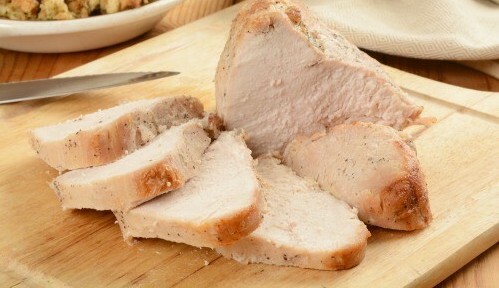 turkey dark meat and skin – it’s pretty fatty which in turn can lead to pancreatitis and other health problems. A little bit of white meat might be OK, although a change of diet often results in diarrhea. With all you’ve got going on today, you don’t need that. candy or dessert of any kind – too sweet. And anything with sugar substitute Xylitol, is highly poisonous. pumpkin – plain canned or plain, cooked pumpkin. NOT pumpkin pie filling. Pumpkin is magic – it can help stop diarrhea AND constipation! both cranberries and dried cranberries are safe to feed to dogs in small quantities. Avoid cranberry sauce since it has lots of sugar and might even contain raisins or grapes. Time to find the big turkey roasting pan, the extra pie plates and more…. it’s Thanksgiving in Canada today, with food, fun and family. But there are some things to watch out for if you have a Morkie. At events like Thanksgiving, your Morkie can easily slip out the door with company coming and going. His absence might not even be noticed at first. While your guests are arriving or leaving, keep your Morkie in a quiet room away from the action. Leftovers that are too greasy can give your Morkie diarrhea. A dog that gets into leftover turkey for example, can be in real trouble – bones, greasy meat, string and fatty gravy are a certain prescription for diarrhea or worse. Dogs aren’t used to the amount of fat in a turkey or ham, along with the gravy. And if dogs get fatty foods too often they can actually develop pancreatitis, a painful inflammation of the pancreas. This organ is vital in helping digest food and control blood sugar. And needless to say, ALL BONES ARE A NO-NO FOR DOGS. 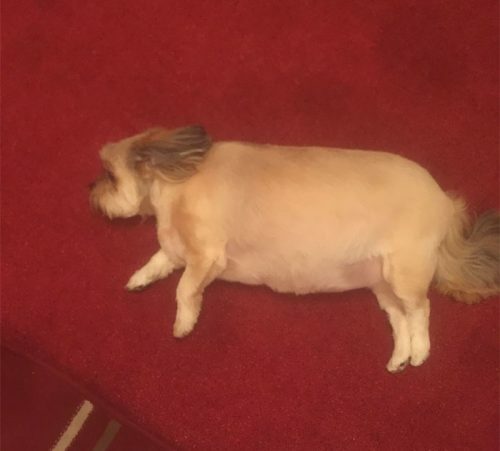 This Yorkie has had too many Thanksgiving treats. Macadamias, the delicious buttery nuts from Hawaii and Australia are THE worst thing for a dog. Why? They contain an unknown toxin that causes severe neurological problems – meaning they attack the nervous system. So your dog may appear drunk, staggering all over; or he may lose his ability to walk (temporarily or permanently!) Severe vomiting and weakness can also be symptoms. If you suspect your Morkie has eaten macadamia nuts, see the Vet at once. 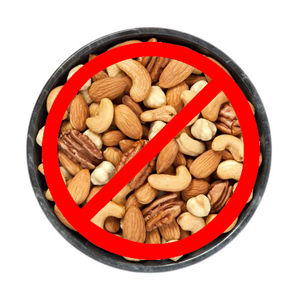 Best to avoid all nuts for your Morkie. Almonds aren’t as dangerous or deadly but they can cause a lot of digestive upset for your Morkie, along with the possibility of choking. Pistachios are “OK” except if they are mouldy –and this type of nut is susceptible to mould. Not enough for us to notice, let alone affect us but for a small dog, they can mean trouble. 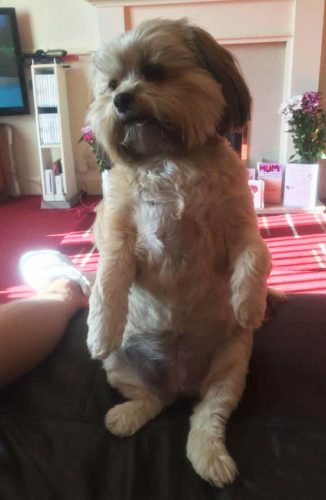 Cashews and Brazil nuts don’t contain anything particularly poisonous to dogs but they ARE high in fat which can lead to obesity and even kick start pancreatitis in your Morkie. One cure-all for your Morkie with an upset tummy is pumpkin. 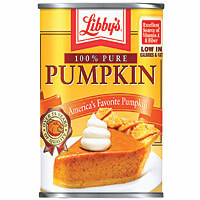 Not pie, and not pie filling but just canned pumpkin with nothing else added. It’s good for diarrhea AND constipation and is nutritious and filling for your sick Morkie. It’s a great idea to keep a can on hand.